San Onofre is permanently shut down and California has excess power without San Onofre and Diablo Canyon nuclear power reactors, according to data from the California Public Utilities Commission (CPUC), the California Energy Commission (CEC) and the electricity grid operator, the California Independent System Operator (ISO). San Diego Gas and Electric (SDG&E) announced they have adequate resources without San Onofre. 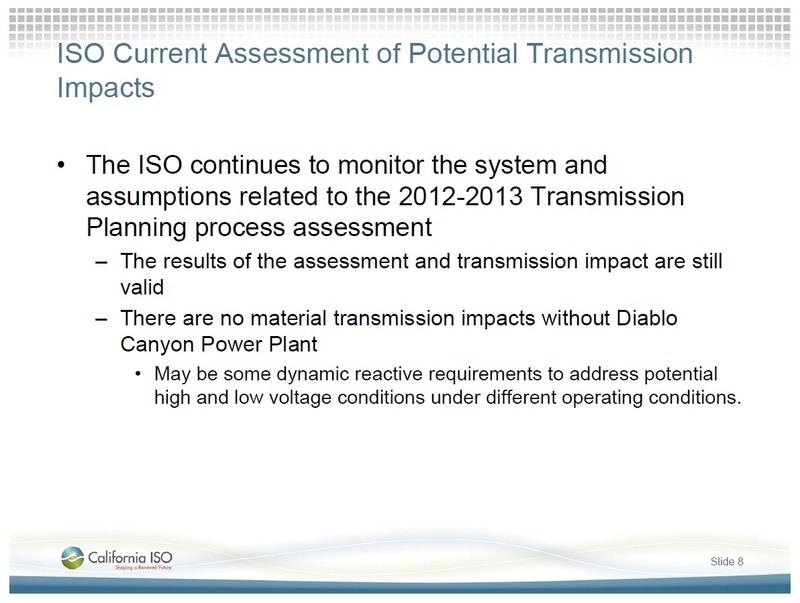 No material transmission impacts without Diablo Canyon Power Plant, CA ISO, California Energy Commission Workshop, Nuclear Power Plant Issues presentation, April 27, 2015 (slide 8). hydro generation in Northwest (slide 6). There is no reasonable justification to continue Diablo’s once-through cooling that causes major marine life damage and generates tons of waste stored in unsafe canisters and storage pools, located in one of the highest risk seismic zones in the world. California historically imported significant amounts of electricity, since its wholesale power markets in the region are relatively open and generation from outside the state is often less expensive. Some power plants located in adjacent states are partially owned by California utility companies, and special agreements exist for exporting power to California. For instance, 18% of the Palo Verde Nuclear Power Plant, located in Tonopah, Arizona, is owned by California-based utilities. See San Onofre nuclear outage contributes to Southern California’s changing generation profile – EIA November 2012. Source: U.S. Energy Information Administration, EIA Forms 923 and 826. Note: California’s electricity imports were estimated by subtracting total in-state generation from the EIA Form 826 from total in-state generation from the EIA Form 923. Renewable energy in the chart includes: wind, photovoltaic, geothermal, and biomass. Use the SMUD Vampire Load Calculator to see savings from items that are turned off but still plugged in. Note: SDG&E rates are about $0.38 per kWh at the higher end, which is where you will save. SMUD’s calculator maximum is $0.30, so set the calculator kWh to $0.19 and then double the amount for actual savings. See more energy saving tips below. 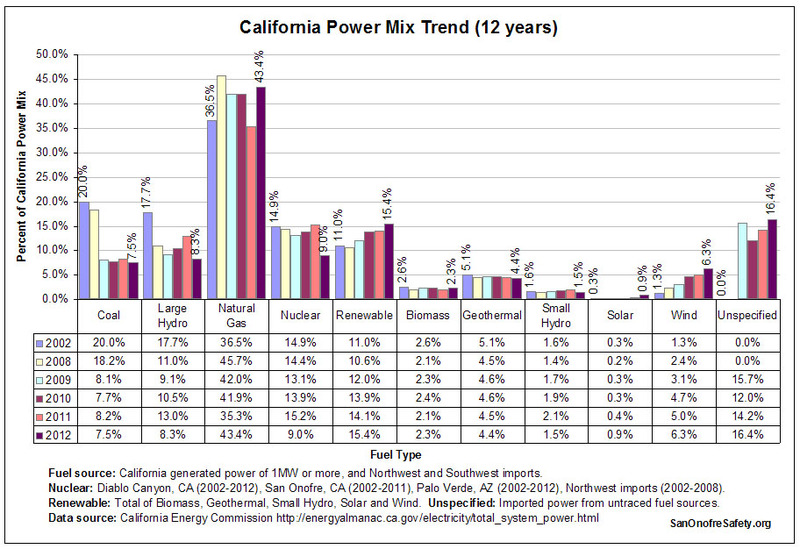 This 12-year California Power Mix Trend Chart shows a slow progression to renewable energy. The California Energy Commission (CEC) doesn’t count distributed solar (e.g., rooftop solar) and other power sources under 1MG. However, this chart shows major improvements are still needed in the area of renewable energy. Part of this web page includes information on problems with the implementation of renewable energy in California and recommended solutions. The California 2013-2014 ISO Transmission Plan proves San Onofre and Diablo Canyon are not critical to the electric grid, even though we were told otherwise. Diablo Canyon‘s 2400 MW of nuclear power is also not needed. The ISO and CEC should be required to develop a renewable and energy efficiency plan for replacement of Diablo Canyon instead of renewing the license for this aging nuclear plant that sits on multiple active earthquake faults and damages millions of sea life every year (due to once-through cooling). Most of the electric power generated by Diablo is exported to other areas (Kern Area and Central Coast and Los Padres Areas. The 2015 ISO planning assumptions [as directed by state policy] continue to rely on Diablo Canyon license renewal and resolving or ignoring once-through-cooling compliance requirements. See Final 2015-2016 Transmission Planning Process Unified Planning Assumptions and Study Plan, March 31, 2015, page 21. These assumptions do not address potential reliability and cost issues of an aging nuclear reactor. Below ISO Table from ISO 2014-2015 Transmission Planning Process Stakeholder Meeting on November 19, 2014, shows electric generation capacity for nuclear and other energy sources, and lists what was actually dispatched. Pacific Gas & Electric (PG&E) owns Diablo Canyon and has applied for license renewal. The Western Electricity Coordinating Council (WECC) referenced on the above Table includes other Western states and countries. California uses nuclear energy from Arizona’s Palo Verde nuclear power plant. See map. The ISO’s 2013 plan kept us in power for all of 2013 without San Onofre. This included electricity needed for peak load periods in the summer as well as voltage and grid stability. They stated “…the reliability risks to southern Orange and San Diego counties are “marginally more challenging” this summer, but still within planning standards.” See ISO 5/6/2013 News Release. Install capacitors (80 MVAR each at Santiago and Johanna, 160 MVAR at Viejo). Split Barre-Ellis 220 kV circuits (from 2 to 4 lines). Confirm new resources South of Lugo. Support adequate funding for Flex Alerts and continue to explore applicable demand response. The study results from various studies show that there are no thermal overloads or transient stability concerns related to the SONGS units under normal or emergency conditions. In 2021, SONGS G-2 [both reactors off-line] contingency results in post-transient divergence. This can be mitigated by increasing generation in the LA Basin. The ISO has historically addressed this concern by maintaining minimum generation dispatch requirements in Southern California in accordance with the SCIT Nomogram. No additional mitigation is considered necessary other than periodically updating and following established minimum generation requirements. The California ISO 3/22/2012 News Release states “…if both SONGS units remain offline this summer, San Diego and portions of the Los Angeles Basin may face local reliability challenges.” It then states “Fortunately, there are resource options available to help mitigate reliability risks.” The 3/22/2012 briefing by ISO’s Neil Millar addresses the mitigation options and proves there are adequate mitigation options to cover high peak demand and thus avoiding rolling blackouts this summer. Bill Powers’ 9/21/2012 Quail Brush presentation shows SDG&E has a surplus of energy without San Onofre and does not need to build new gas plants to meet local needs. (Data based on ISO 2012 Summer Loads and Resources Assessment 3/15/2012). State “reserve margin” requirement is 15% to 17%. Reserve margin means additional power supply available beyond what is needed to meet the typical weather year peak load. Forecast 2012 peak reserve margin for Southern California (SoCal Edison + SDG&E) with San Onofre is 29%. This is over 8,000 MW above projected peak load of 27,399 MW. Forecast 2012 peak reserve margin for SoCal without San Onofre is 23%. This is over 6,000 MW above projected peak load of 27,399 MW. Federal Energy Regulatory Commission (FERC) Chairman Jon Wellinghoff says we’ll be in fine shape without San Onofre this summer. Without the 2.3 GW from this [San Onofre] plant, NERC forecasts that projected reserve margins in California may be close to, but still be above, the regional target of 15.1 percent. See NERC’s 2012 Summer Reliability Assessment (page 8 and 9). 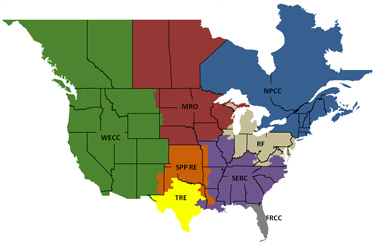 The North American Electric Reliability Corporation’s (NERC) mission is to ensure the reliability of the North American bulk power system. San Onofre’s two reactors have been shut down since January 31, 2011 due to critical equipment problems. There have been no resulting blackouts or brownouts in Southern California. The electricity grid was able to compensate for this loss. 1/31/2012 Radiation Leak: San Onofre has been offline since January 31, 2012 due to a radiation leak from a defective steam generator and decades of premature wear on all four steam generators. There have been no rolling blackouts. See Prediction of rolling blackouts has not occurred. 9/8/2011 Southern California and Arizona Power Outage: Southern California had sufficient energy for all 1.4 million SDG&E customers without San Onofre when power was restored after the major Southwestern power outage of September 8th, 2011. When power was restored, San Onofre was still off line. (Units 2 and 3 were restarted and synchronized to the electric grid within 65 and 87 hours, respectively). Southern California did just fine without San Onofre even with very hot days. The electricity grid was able to compensate for this loss of power. See FERC Approves Fifth Settlement in 2011 Southwest Blackout Case, November 28, 2014. California nuclear plant owners have not provided plans for alternate sources of energy to replace nuclear power. Plans are needed in case of emergency shutdown and to prepare for license expiration of the plants. Their plan is to continue relicensing these old plants. The plants were originally designed for a lifespan of 40 years or less. San Onofre licenses expire in 2020. 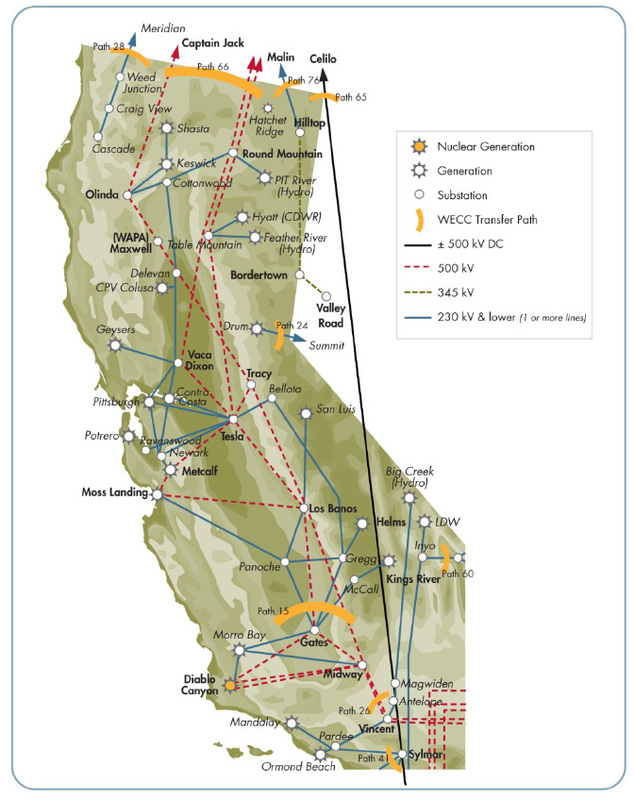 Diablo Canyon licenses expire in 2024 and 2025. The plant owners have refused to comply with state requests to provide their plan for an alternative energy source prior to relicensing. Nuclear power is not a reliable source of power, as shown by the months of unplanned shutdown of San Onofre since January 2012. San Onofre provides only 5.5% of the energy CONSUMED in California, according to the California Energy Commission. SDG&E’s current Power Content Label shows nuclear power provides 16% of SDG&E’s 2010 Power Mix. This may include nuclear power from the Palo Verde nuclear power plant in Arizona. SCE’s current Power Content Label shows nuclear power provides 19% of SCE’s 2010 Power Mix. This may include nuclear power from the Palo Verde nuclear power plant in Arizona. See CEC 2010 Total Electricity System Power for details on this and related information, such as other sources of electricity (both in-state and elsewhere). In-state generation is reported generation from units 1 MW and larger. San Onofre is operated by Southern California Edison, which owns 78.21%. SDG&E owns 20% and Riverside Public Utilities owns 1.79%. Reactor Unit 2 is being decommissioned. It provided up to 1070MW, in service 1983 to January 10, 2012. Reactor Unit 3 is being decommissioned. 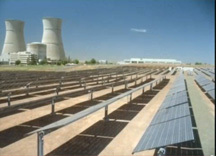 It provided up to 1080MW, in service 1984 to January 31, 2012. See NRC website Plans for Decommissioning of San Onofre Nuclear Generating Station Units 2 and 3. 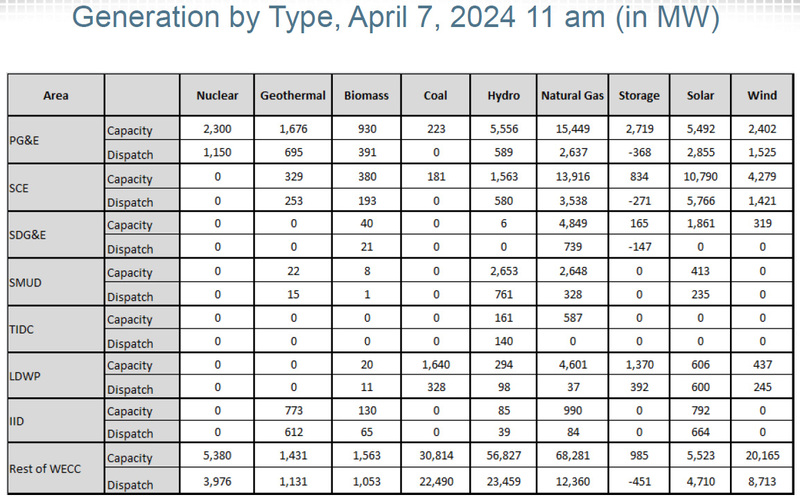 NRC Unit 1 website lists estimated date for closure as 2030. Reactor Unit 1 provides up to 1073MW, in service since 1985. Reactor Unit 2 provides up to 1087MW, in service since 1986. Reports of nuclear power costing less than other sources of energy needs to be reevaluated in California, especially at San Onofre. For example, the cost analysis to replace the San Onofre steam generators assumed high gas prices. It also excluded the cost of storing tons of toxic radioactive waste for tens of thousands of years as well as numerous other costs. It excluded all energy efficiency alternatives, such as targeted and increased cost incentives to replace residential and commercial inefficient air conditioners and load balancing in the Edison and SGD&E utility districts. See section: Cost of Nuclear Power. 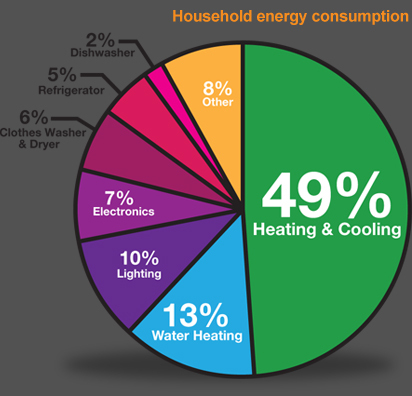 The average household can cut their electricity bill by 50% through energy efficiency. Heating and cooling are almost half of energy consumption, yet rebates are limited or non-existent for heating and air conditioning systems (HVAC). SCE and SDG&E are given billions of dollars of ratepayer money for energy efficiency programs. SCE currently has about half a billion dollars in energy efficiency funds that must be used by the end of 2012. California’s concerns about peak energy demand in the summer and carbon emissions can more effectively be addressed with more aggressive incentives and programs for central air conditioner replacements — especially in the area served by the San Onofre nuclear power plant. SCE and SDG&E offer residential customers no rebates to upgrade to more efficient central heating and cooling (HVAC) systems. They only offers rebates on installation costs for new air conditioning systems. The number of contractors to choose from is limited and there are other hurdles that make this program less attractive. The information is difficult to find on SDG&E’s website. They send you to a vendor website for information, without mentioning the amounts of rebates possible for installation. SDG&E’s Energy Efficiency Business Rebates Product Catalog lists rebates available to business. No central air conditioning systems are included. SCE’s Business Solutions Directory contains the most complete and current list of eligible equipment (solutions) and qualification criteria for incentives available to customers through SCE’s 2010–2012 Energy Efficiency Program. It also includes a summary of Demand Response Technology Incentives available for customers installing qualified equipment that enables load-shifting strategies. For updates on program changes (due to funding availability or other other reasons), go to SCE Energy Management Online Application Tool. SCE has recently added ice storage air conditioning installation rebates to their HVAC Optimization Program. 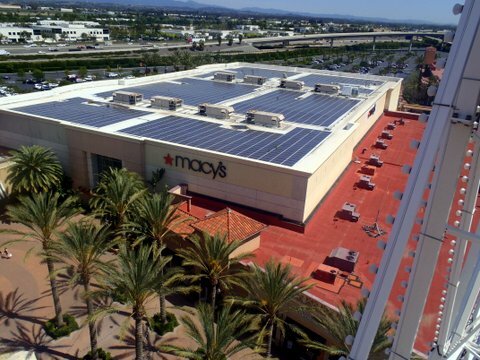 California requires utility companies to increase the percentage of renewable energy in the state’s electricity mix to 33 percent by 2020. This process should be expedited, with nuclear energy being the first replaced with renewable energy. However, the ISO Transmission Plan (page 274) uses renewables to replace gas plants instead of California’s nuclear plants. ISO reported California saved 10 million pounds of CO2 output solar power in one day on August 14, 2012. Millions of dollars in renewable energy projects intended to provide power to facilities in California’s national parks and forests have been sitting idle for years because of Southern California Edison. The California Solar Initiative (CSI) is the solar rebate program in California for customers of investor-owned utilities – PG&E, Southern California Edison and SDG&E. The CPUC is providing $2.1 billion to businesses, nonprofit organizations, public agencies and homeowners. Solar Map displays location of rooftop solar installations in San Diego county and surrounding areas. Data from CSI. See NIRS slide presentation explaining why nuclear power is no solution to climate change. A 2009 Stanford University study ranked energy systems according to their impacts on global warming, pollution, water supply, land use, wildlife and other concerns. The very best options were wind, solar, geothermal, tidal and hydroelectric power—all of which are driven by wind, water or sunlight (referred to as WWS). Nuclear power, coal with carbon capture, and ethanol were all poorer options, as were oil and natural gas. The study also found that battery-electric vehicles and hydrogen fuel-cell vehicles recharged by WWS options would largely eliminate pollution from the transportation sector. To ensure that our system remains clean, they considered only technologies that have near-zero emissions of greenhouse gases and air pollutants over their entire life cycle, including construction, operation and decommissioning. For example, when burned in vehicles, even the most ecologically acceptable sources of ethanol create air pollution that will cause the same mortality level as when gasoline is burned. Nuclear power results in up to 25 times more carbon emissions than wind energy, when reactor construction and uranium refining and transport are considered. Mark Z. Jacobson is professor of civil and environmental engineering at Stanford University and director of the Atmosphere/Energy Program there. He develops computer models to study the effects of energy technologies and their emissions on climate and air pollution. Mark A. Delucchi is a research scientist at the Institute of Transportation Studies at the University of California, Davis. He focuses on energy, environ¬mental and economic analyses of advanced, sustainable transportation fuels, vehicles and systems. France gets nearly 80% of its electricity from its 58 nuclear reactors. However, such a heavy reliance on nuclear power brings with it many major, unresolved problems most especially that of radioactive waste. As a result, France has a hugely complex and unsolved radioactive waste problems, as well as health, environmental, and financial problems. France has not solved its nuclear waste problem. French nuclear power has been costly to taxpayers. French reactor technology is aging and unsafe. French reactors, and reactor construction projects, are unreliable. The French do not all love their nuclear power. France’s nuclear power has produced serious health and environmental problems. Thorium “fuel” has been proposed as an alternative to uranium fuel in nuclear reactors. There are not “thorium reactors,” but rather proposals to use thorium as a “fuel” in different types of reactors, including existing light-water reactors and various fast breeder reactor designs. Contrary to the claims made or implied by thorium proponents, however, thorium doesn’t solve the proliferation, waste, safety, or cost problems of nuclear power, and it still faces major technical hurdles for commercialization. See Fact Sheet by the Institute for Energy and Environmental Research and Physicians for Social Responsibility. The new AP1000 nuclear reactor has serious design flaws. On a 4 to 1 vote, the NRC Commissioners approved building this in Georgia, even though numerous problems exist with the design and lessons learned from Fukushima have not been implemented. Vogtle nuclear plant now under construction in eastern Georgia. 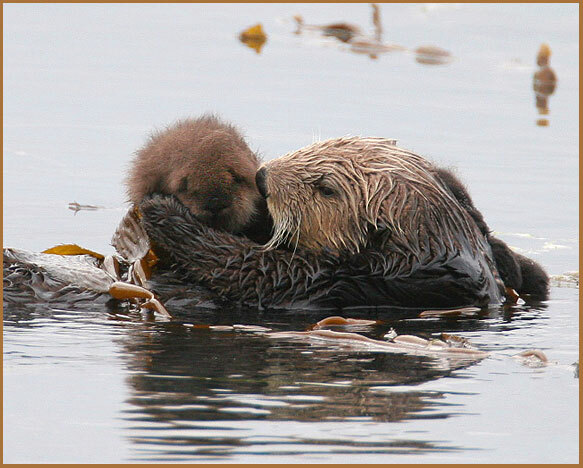 For example, see Containment Leakage, An Unreviewed Safety Issue, April 7, 2010, Arnie Gundersen, Fairewinds Associates. George ratepayers are required to pay for the construction of this plant before it’s even built, with no guarantees it will be successful. Small modular reactors present many of the same problems as other reactors, as well as introducing additional problems as noted in Prognostics Health Management for Advanced Small Modular Reactor Passive Components, October 7, 2013, Ryan M. Meyer, et.al. Harsher operating environments and up to 30 years between refueling make it a challenge to adequately inspect for degradation. Technology needed is not available or not adequate. PHM for passive components in AdvSMRs can play a key role in facilitating the deployment of AdvSMRs by minimizing controllable day-to-day costs associated with plant O&M. Although potential concepts and designs for AdvSMRs vary significantly, there are some general features that can help define the requirements of a PHM system for passive components. 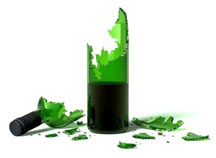 Degradation may be sampled in AdvSMRs through online and offline measurements. A PHM system is likely to be most effective if prognostics algorithms can use both types of measurements. A basic illustration is provided of a prognostics method based on the PF technique for predicting passive component failure due to thermal creep degradation. The illustration simulates sampling of creep degradation with offline NDE measurements. The illustration only represents the start of prognostic algorithm development as additional functionality to address many the requirements in Section 3 will need to be demonstrated. The approach is to alternately add functionality and demonstrate that added functionality with accelerated aging studies.